■ Conceptual system (ontology) building. Based on essential and descriptive characteristics, Tedi provides epistemological guidelines (Aristotelian principles) for building consistent conceptual system (logical properties are verified during the ontology building process). 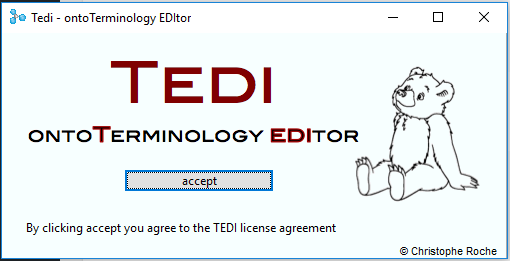 For example in defining new generic concepts, only valid concepts are proposed by Tedi. The ontoterminologies can be exported in OTE (OntoTerminoly Exchange), RDF/OWL, SKOS, and HTML.